Why Choose To Have Otoplasty? 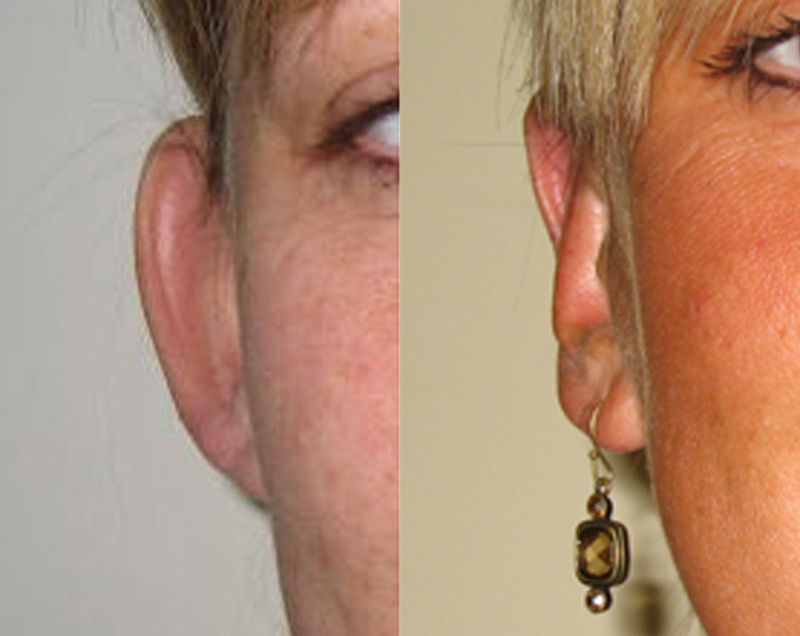 Otoplasty can be carried out to reshape ears and place protruding ears closer to the head. Prominent or ‘Bat-ears’ can be a cause of embarrassment and stress for both adults and children. This reshaping will make the ear look smaller although it is also possible to reduce the size of the ear or the ear-lobe (especially after the use of ear-ring spacers). Surgery remains the most common form of treatment, but should only be considered after the ear has stopped growing at the age of 7 years onwards. (There is some evidence that using special splints on the ear as a baby can change the shape without surgery). Although surgery can take place at any time in life, the best time is in childhood. The surgery is generally more successful and it avoids the associated anxiety throughout childhood. It is still very feasible in adult life although the success rate is a little lower. It is sometimes difficult for children to decide about surgery and when there is uncertainty it can always be delayed until they are older. However, teasing at school that is affecting a child should be taken seriously and if the child expresses an interest in surgery this should be at least explored by the parent. Different parts of one or both ears can be treated depending on the problem, and sometimes it can be more than one problem. 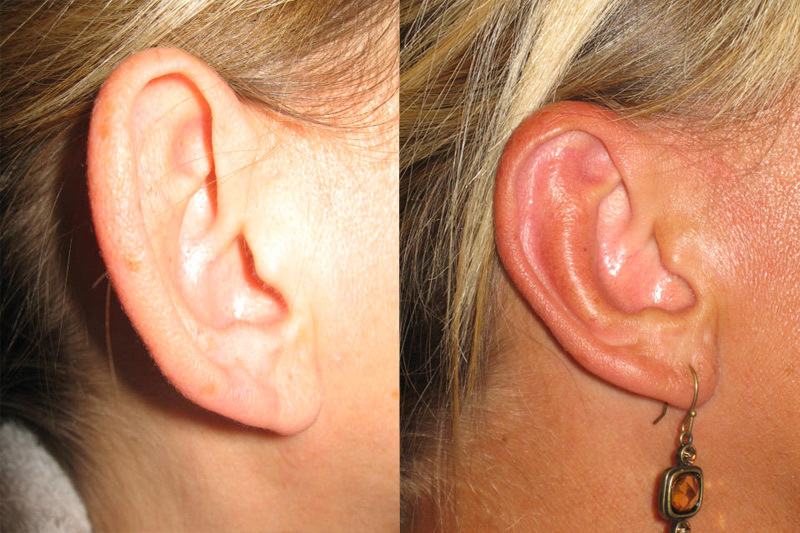 Common areas treated include the ‘deep bowl’ in the centre of the ear known as the ‘Concha’, which can be too large. Another area treated is the rim of the ear known as ‘Helix’ or ‘Antihelix’ depending on the exact part of the ear. Surgery revolves around either re-shaping or re-positioning the cartilage of the ear. Some skin is usually excised behind the ear and the re-shaping done from this incision. There are different types of operations depending upon the exact cause of the prominence. The various options and the most suitable one for you will be discussed during your consultation with Stephen McCulley. Scars on the ears tend to heal very well, and depending upon the technique often sit behind the ear. Although a little pink initially in the first few weeks, they will then fade to white. It is very rare for the scar to remain pink and become raised. If you are a smoker, try and stop before and after surgery as it can reduce the chances of complications. The operation takes approximately 1 - 1.30 hours for both sides, depending upon the technique. This can be done under local or general anaesthetic in adults, but always under general anaesthetic when treating children from 7 years onward. Patients are usually treated as a day case. Stitches and gauze dressings will be applied to the incisions, the stitches will be removed after 7-10 days. A large head bandage will need to be worn for the first 5 days, after which it will be removed. Patients should then wear a bandage or sweatband at night for a further 6 weeks, which will protect the ears from any movement during sleep. Day 1 You should be taking it very easy! Day 2-5 You can be up and about but you may experience some discomfort. The head bandage needs to stay on during this period. Day 5-14 Your stitches and head bandage will be removed and most of the swelling and bruising will settle over this next week. You will be feeling much better from here onwards. You can start exercising gently and build it up over the next 10 days. Week 3 you should be almost fully recovered and back at work. People vary in recovery, but patients should allow 1 week to recover. Most patients are very comfortable after a few days, and it may only be the head bandage that prevents you from wanting to return to work. Any bruising should disappear after 2 weeks. Patients usually feel able to walk a distance at 3-5 days, swim by 3 weeks (if fully healed). Strenuous exercise (aerobics etc) should be avoided for 4-6 weeks and contact sports (rugby etc) for 8 weeks. Patients should avoid driving until they are completely free of pain and restriction, and be able to confidently perform an emergency stop. This is to ensure they will be covered by their insurance policy. It may take one or two weeks to recover sufficiently. We will check your wound and remove the bandage at day 5. We will then remove the sutures at day 9-10. You will then have an appointment with Stephen McCulley at 3 months. You will not be charged for any follow up appointment relating to your surgery. Although most of your result will be noticeable early it will continue to improve over the first three months as all of the swelling disappears. Recurrence of the problem: This can occur in about 6% of cases and is higher in adults, especially adult men. It results from the ‘memory’ in the cartilage slowly reforming to its old shape. If this does happen it is usually a partial recurrence and not an exact copy of how the ear appeared pre-surgery. Small degrees of asymmetry: The operation can be performed on one or both ears depending upon the requirements of the patient. It is important to note that each ear can often be different, and therefore the effects of surgery can be slightly different on each ear. Occasionally the surgery can cause a deformity to the shape of one or both ears from the cartilage having been cut and then buckling. Scars: The quality of scars vary between patients.Most patients will form extremely good quality scars over time. Wound breakdown: Although very uncommon this can result in a delay in the wound healing and the scar quality. Bleeding: A blood clot can collect under the skin needing you to go back to theatre for its removal. Altered sensation: This usually recovers after a few weeks. What does Ear Surgery (Otoplasty) cost?